Springtime in Charlotte is really about three things: festival eating, craft beer drinking, and adventure seeking. Lucky for us here in the Queen City, we have a surplus of events that offer up all of these to kick off the warmer weather. So here are the best things happening this coming season to help you get in on the fun. Editor's Note: We'll be updating this throughout the season, so keep checking back to stay up to date on all the best spring happenings. Kick off spring with the Dropkick Murphys Fill your ears with the sounds of bagpipes and welcome in the springtime with The Dropkick Murphys as they bring their 20 Year Anniversary Tour to the Fillmore Charlotte in the beginning of March. And since it's such a momentous occasion, you can sure as hell expect a party. 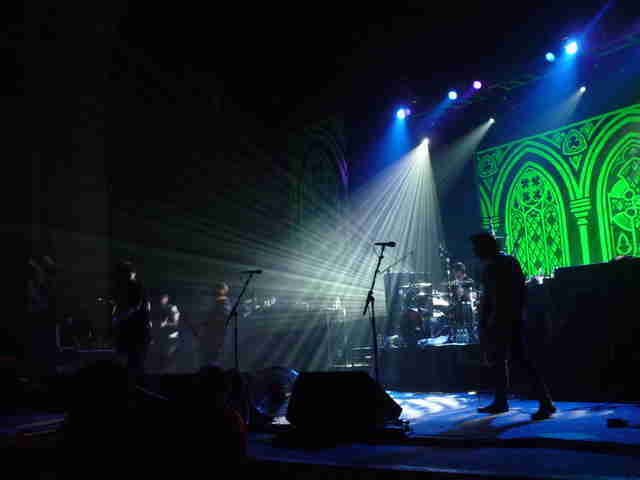 Kick off spring with the Dropkick Murphys The Fillmore Charlotte Fill your ears with the sounds of bagpipes and welcome in the springtime with The Dropkick Murphys as they bring their 20 Year Anniversary Tour to the Fillmore Charlotte in the beginning of March. And since it's such a momentous occasion, you can sure as hell expect a party. Make some art with the family Near the middle of March, get the family together and head down to the McColl Center for Art + Innovation for Open Studio Saturday. Together, you'll be able to learn from a number of great artists about their creative process, get hands-on experience, and even explore the studio galleries. Make some art with the family McColl Center for Art + Innovation Near the middle of March, get the family together and head down to the McColl Center for Art + Innovation for Open Studio Saturday. Together, you'll be able to learn from a number of great artists about their creative process, get hands-on experience, and even explore the studio galleries. Join in OMB’s seven-year anniversary celebration We can’t think of a more legit way to celebrate spring than sitting back in the biergarten with a crisp drink. 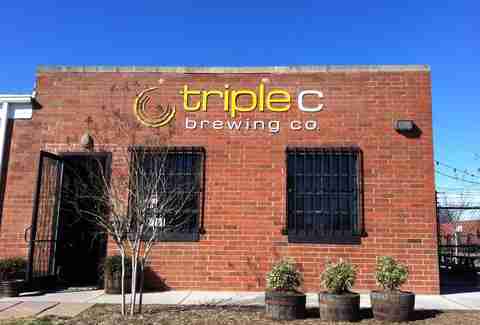 Gather your friends and spend the day sipping quality brews in support of Olde Mecklenburg Brewery -- not only a beloved neighborhood favorite, but also as Charlotte’s very own craft beer pioneer. 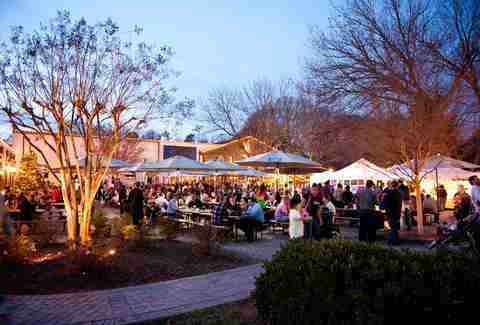 Join in OMB’s seven-year anniversary celebration The Olde Mecklenburg Brewery We can’t think of a more legit way to celebrate spring than sitting back in the biergarten with a crisp drink. Gather your friends and spend the day sipping quality brews in support of Olde Mecklenburg Brewery -- not only a beloved neighborhood favorite, but also as Charlotte’s very own craft beer pioneer. Earn your beer at the Know Your Craft 5k And be sure to bring your pup along for the run, too! This year’s race benefits Project 2 Heal’s efforts to provide service dogs to those with special needs. 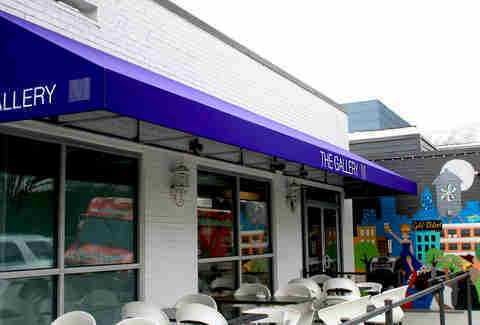 Afterwards, head out back to the Triple C patio to quench your thirst with a cold one. Earn your beer at the Know Your Craft 5k Triple C Brewing And be sure to bring your pup along for the run, too! This year’s race benefits Project 2 Heal’s efforts to provide service dogs to those with special needs. 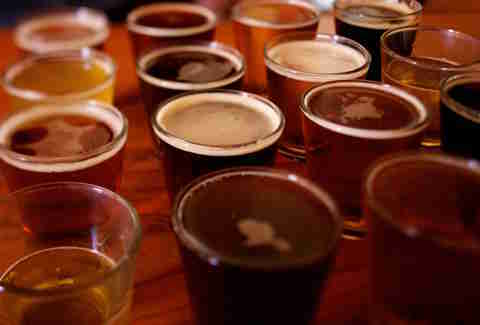 Afterwards, head out back to the Triple C patio to quench your thirst with a cold one. Channel your inner artist on the South End Gallery Crawl Nestled among the backstreets of South End are numerous art galleries, many of which you may not even know about yet. Pick a Friday this spring (gallery tours occur on the first Friday of every month, so April 1st and May 6th only) to follow the self-guided tour through various exhibits that have helped make the neighborhood a vibrant arts community. Channel your inner artist on the South End Gallery Crawl South End (various locations) Nestled among the backstreets of South End are numerous art galleries, many of which you may not even know about yet. Pick a Friday this spring (gallery tours occur on the first Friday of every month, so April 1st and May 6th only) to follow the self-guided tour through various exhibits that have helped make the neighborhood a vibrant arts community. Become a beer connoisseur at the Beer Me BrewFest What better way to spend your Saturday than with all out access to brewing’s best? A favorite among annual tasting events, Beer Me BrewFest brings an incredible amount of craft offerings to the center of South End so you can spend your spring figuring out which seasonal sipper you’re going to stock up on next. Become a beer connoisseur at the Beer Me BrewFest All American Pub lot What better way to spend your Saturday than with all out access to brewing’s best? A favorite among annual tasting events, Beer Me BrewFest brings an incredible amount of craft offerings to the center of South End so you can spend your spring figuring out which seasonal sipper you’re going to stock up on next. Get in the groove at the Charlotte Jazz Festival In addition to two main stage performances by the Jazz at Lincoln Center Orchestra, festival goers can enjoy a number of events throughout the weekend such as intimate club performances, happy hours, and a jazz dinner. 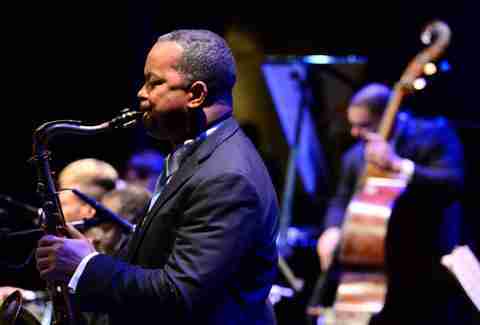 Get in the groove at the Charlotte Jazz Festival Knight Theater at Levine Center for the Arts In addition to two main stage performances by the Jazz at Lincoln Center Orchestra, festival goers can enjoy a number of events throughout the weekend such as intimate club performances, happy hours, and a jazz dinner. Take on the competition at Tuck Fest With the warmer weather we’re usually looking to kick our bodies back into gear, and this outdoor event will certainly give you the extra push you need. This festival features live music, exhibits, and more than 20 sporting competitions like kayaking, running, biking, and climbing to get your juices flowing. 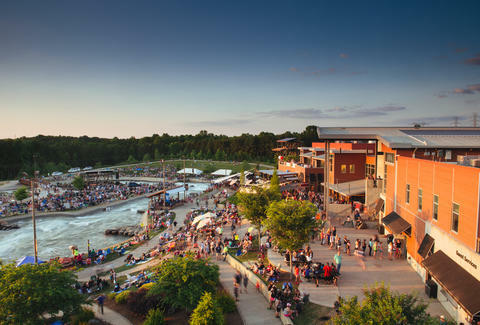 Take on the competition at Tuck Fest US National Whitewater Center With the warmer weather we’re usually looking to kick our bodies back into gear, and this outdoor event will certainly give you the extra push you need. This festival features live music, exhibits, and more than 20 sporting competitions like kayaking, running, biking, and climbing to get your juices flowing. Soak up the bands and booze at North Carolina Brewers and Music Festival For its sixth year in a row, Rural Hill historic site in Huntersville is hosting a full weekend of good tunes and local brews. You’ll find all your latest boozy favorites in the field such as D9 Brewing, The Unknown Brewing Company, and Birdsong Brewing. The game changer: camping is permitted Friday and Saturday night. So hitch up your tent and stay to watch all eight bands take the stage. 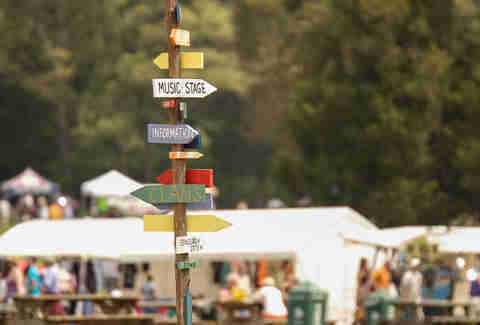 Soak up the bands and booze at North Carolina Brewers and Music Festival Historic Rural Hill For its sixth year in a row, Rural Hill historic site in Huntersville is hosting a full weekend of good tunes and local brews. You’ll find all your latest boozy favorites in the field such as D9 Brewing, The Unknown Brewing Company, and Birdsong Brewing. The game changer: camping is permitted Friday and Saturday night. So hitch up your tent and stay to watch all eight bands take the stage. 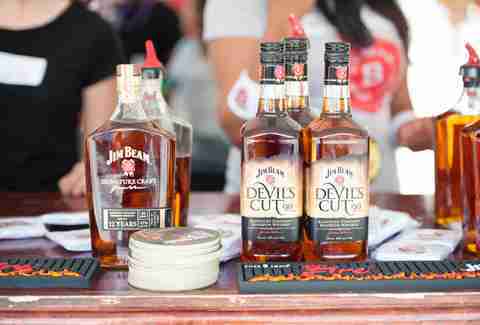 Combine all your favorite things at the Beer, Bourbon & BBQ Festival Admission gets you a sampling glass for an endless array of beer and bourbon to enjoy on the side of your bacon and barbeque. Really, what else do you need? Combine all your favorite things at the Beer, Bourbon & BBQ Festival Symphony Park at Southpark Mall Admission gets you a sampling glass for an endless array of beer and bourbon to enjoy on the side of your bacon and barbeque. Really, what else do you need? Cheer on the Charlotte Roller Girls May’s doubleheader offers you the chance to catch two intense roller derby bouts by a kickass group of girls. Plus, part of the proceeds go toward local charitable causes. 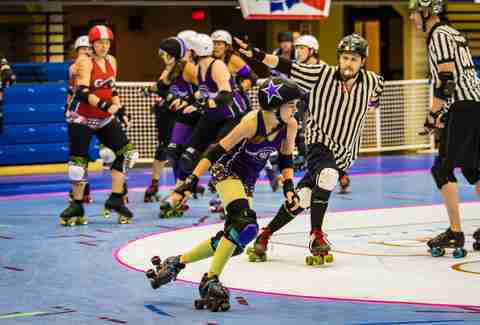 Cheer on the Charlotte Roller Girls Grady Cole Center May’s doubleheader offers you the chance to catch two intense roller derby bouts by a kickass group of girls. Plus, part of the proceeds go toward local charitable causes. Jam out with Dave Matthews Band Don’t pretend you haven’t already been to at least three DMB concerts. Here’s your chance to let all those memories come flooding back, and you know you want to jump at the opportunity. 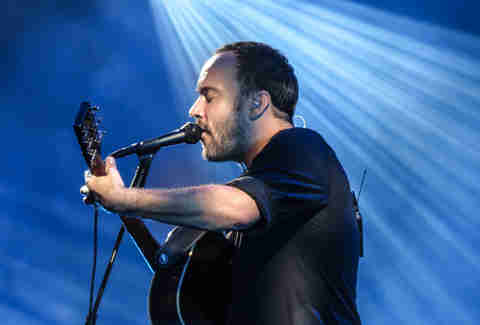 Jam out with Dave Matthews Band PNC Music Pavilion Don’t pretend you haven’t already been to at least three DMB concerts. Here’s your chance to let all those memories come flooding back, and you know you want to jump at the opportunity.